Surprising no one, Allianz Group has named Business Interruption (BI) as the global business community’s most feared risk in its 2018 Risk Barometer report. It is now the sixth straight year that BI has taken this distinction. What this means is that more than 1,900 risk management experts from top international enterprises have expressed, ad nauseum, the perils of systems outages—ones resulting not only from natural disasters but also from digitalization and the delicate interconnectedness of all business services. If one component in your network topples after its license expires or its source provider buckles, so might another. And so and so forth until all that is feared to remain is digital dust and tremendous financial loss. 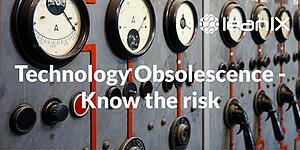 It’s a danger that has brought the concept of Technology Obsolescence to the masses. Now, for better or for worse, it’s no longer just Enterprise Architects waking up to the implications of structuring entire operations around technology of limited lifespans. The scenario has become every business manager’s nightmare in the digitalization age. André Christ, co-founder and co-CEO of LeanIX, makes specific mention of this in a recent contributing article for IoT Agenda. 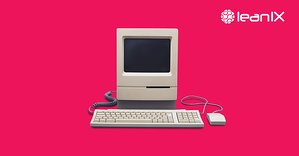 “Technology obsolescence can be one of the biggest factors that leaves [an] organization exposed to hackers and outside threats. Unfortunately, many companies do not know the true lifecycle of their technology and software, and fail to run updates which leads to risk. Many enterprises run on complex, legacy technology and applications and ignore the risks of end-of-life technology. Christ’s advice rings true when considering Visa’s widespread service crash in June at the hands of IT failure. As millions lost transactions and rival credit card providers gloated over their competitor’s misfortune, experts questioned if the company’s technology infrastructure was properly modernized. Visa’s entire IT landscape needed revising. And fast. Unseen IT weaknesses similarly caused the heavily publicized 2016 downing of Delta Airlines ticketing services, a single attack which led the group’s technology network to fall “like a row of dominoes”. Keep in mind, also, that Delta’s shortcomings only became plain after they reached their breaking point. Think about how long the vulnerabilities existed and just how much time the backdoor was left ajar to malicious intent. In both outage examples, legacy technology—obsolete or soon-to-be—was speculated by some to be occupying prized space in sprawling IT network structures. The problems and consequences were clear; the quick-win solutions weren’t. But even government agencies fall victim to obsolescence. In 2015, US Government auditors lambasted the Internal Revenue Service (IRS) for ignoring deadlines to upgrade Windows XP and Windows Service 2003—each of which Microsoft planned to cease supporting. The debacle led the IRS to desperately purchase “post-retirement support” from Microsoft in order to become secure again. 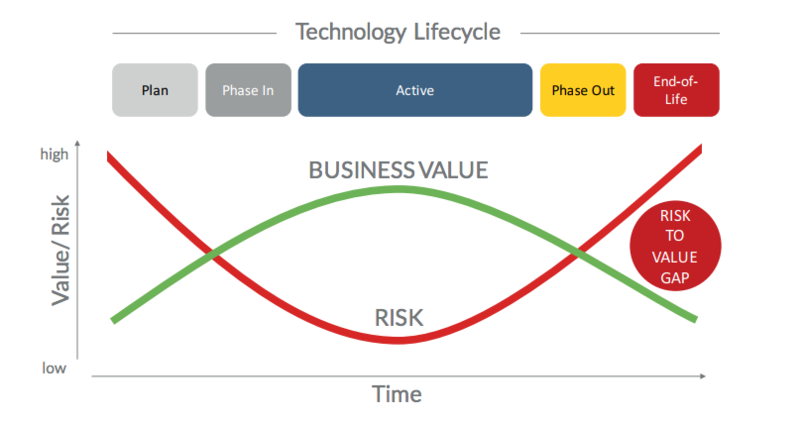 Image 1: The Value/Risk over Time of a technology's lifecycle. Searching for antiquated tech in a billion-dollar revenue company’s library of IT-related information is, needless to say, difficult. It’s one of the reasons why BDNA created Flexera (previously called Technopedia)—the largest IT data catalog in the world—to inventory the wilderness of metastasizing software and hardware offerings. Flexera maintains installation, subscription and usage information on more than a million products to comprise an estimated 50 million quick-reference data points for consumers. It also shows what other related tech is on the market with matching functions. 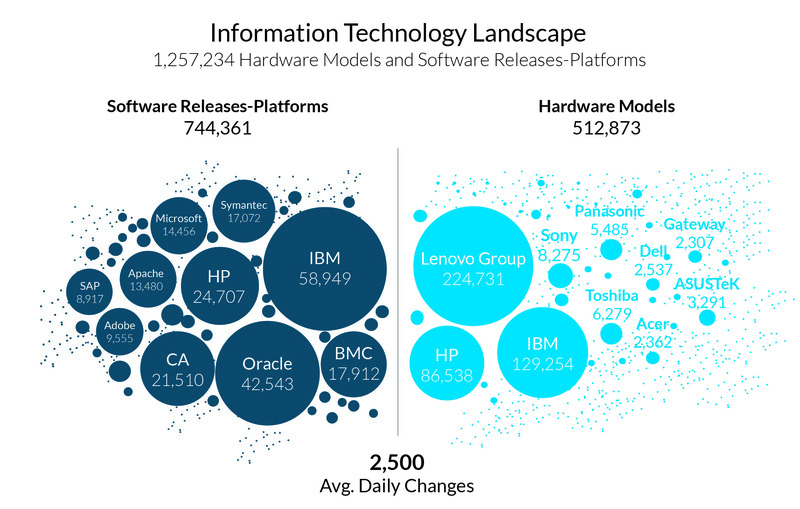 Image 2: A 2016 BDNA data model showing volume of Software Releases-Platform and Hardware Models in the Information Technology Landscape. Imagine that: a library exclusively to educate enterprises and the general public on the very tech they depend upon. Yes, Flexera is an undeniable blessing. But sadly, EAs fighting for the survival of their company need more than definitions. Obsolescence rests in the shadows, under the cover of many shades of darkness, and an agile methodology is required to reveal (in real-time, collaborative and pro-active ways) software risks across all corners of an operation. Until transparency is achieved, software termination dates will not be seen. Without a clear tool to automate data on end-of-life technology, there is no technique but simple due diligence to react to the whims of the software industry. But ignore for a moment the negatives of obsolescence and consider a proven solution to each of its dangers: lean Technology Risk Management. This is the discipline for observing where and when your IT landscape is outdated—and then knowing precisely how to bring it back up to speed. It’s modernizing your interrelated operation by cataloging all moving parts, big and small, to expose timebombs (of the expensive, job-destroying variety…). It’s the act of employing real-time evaluations and reporting systems to study how technology affects your overall business to drive informed investments. And most of all, it’s a treatment against the application gluttony which encumbers scaling efforts of industry-leading operations. 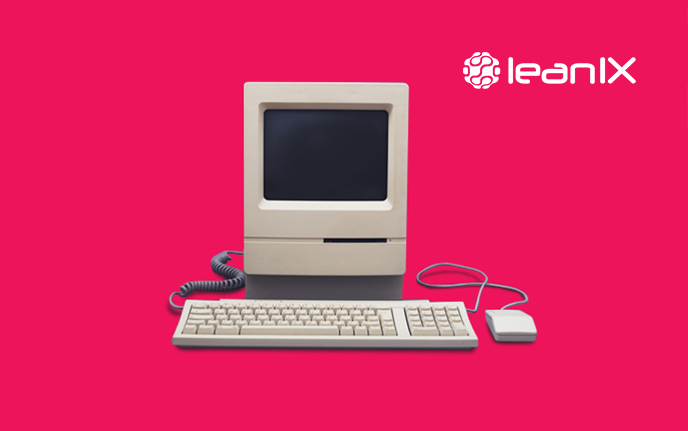 LeanIX, a leading software provider for Enterprise Architecture and Application Portfolio Management, is specifically designed to empower Technology Risk Management in large-scale businesses. Brands like Adidas, Bosch and DHL all rely on its cloud-based platform to dissect and reduce hazards across their international IT networks. Yet while many traditional enterprises still use Excel and Visio to maintain IT taxonomies, LeanIX has emerged as the agile standard to collaboratively map infrastructures to hundreds, or thousands, of varying application lifecycles. Obsolescence can’t be treated as a passing phase in the digitalization age, nor is it wise to expect the world’s largest software vendors to co-operate on shared standardization protocols to solve the problem for us. Bank instead on a sensible Enterprise Architecture tool.